(Oxford University Press). 2015 With Kamalroop Singh. 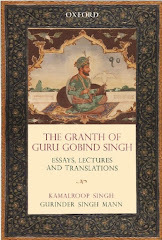 In the Granth of Guru Gobind Singh, the authors offer new insights into the Sikh scripture Dasam Patshah Ka Granth, or the Dasam Granth, which has traditionally been attributed to Guru Gobind Singh. While many studies have adopted a polemic approach and focused on the authorship of the text, this book takes a multi-disciplinary approach and considers the relationship of the scripture with the newly discovered manuscripts, apocryphal translations, and relics. 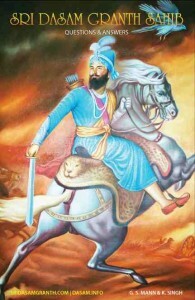 The manuscript tradition of the Granth shows how it was written and compiled during Guru Gobind Singh’s time and how its compositions were transmitted through material items such as swords. 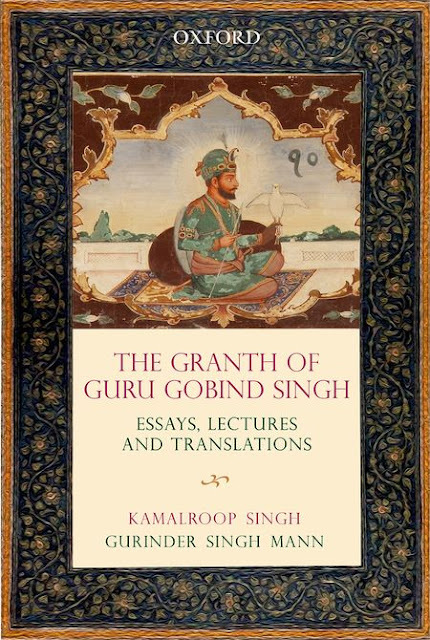 The authors have included in this volume translations of selected compositions from the scripture.This book, in essence, takes the reader through relevant history of the Sikh dharam and establishes the centrality of the Dasam Granth within it. A small booklet created to celebrate the 200th death anniversary of linguist Dr John Leyden. Panjab Cultural Association, UK to bring these writings out into the open. * Possibly the first english translations of Sikh/Panjabi texts and scriptures. * The discussion of translation of Sri Bachitra Natak, Prem Sumarag Granth, Sikhan Di Bhagatmala, Var Sri Bhagauti Ji and others. * The significance of these translations as viewed by scholars.